Neuroscientists worldwide are elated at the news of two major funding initiatives in the field of neurobiology. First, the European Commission awarded $1.3 billion to the Human Brain Project (HBP) to understand the workings and diseases of the brain, and to simulate its computational capabilities. This was followed by a U.S. initiative referred to as the “Brain Research through Advancing Innovative Neurotechnologies (BRAIN)” project to understand the nature of thought. The initial investment in BRAIN is likely to be comparatively modest — $100 million in 2014 — with the promise of substantially more funding later. The underlying concept is to emulate the successful human genome project and to unlock the workings of the brain through “big science” projects. These government initiatives come on the heels of a private donation of $300 million from Microsoft co-founder Paul Allen to the Allen Institute for Brain Science to fund new projects for human brain mapping. Clearly the brain is an organ of exceptional complexity, comprised of tens of billions of neuronal cells, all of which are interconnected through many electrical pathways. The cells work together on a millisecond timescale to analyze and compute data leading to the sense of consciousness that we experience. Although scientists can observe the larger features of the brain’s structure and study neuronal cells in isolation, they currently lack any deep understanding of how the electrical and biochemical signals that flow between neurons give rise to thought, emotions or memories. A better understanding of brain function would open the door to enhanced treatments for neurodegenerative and psychiatric disorders such as Alzheimer’s and depression. This would clearly address an important gap since these diseases are such crippling causes of disability today. Together, the HBP and BRAIN projects acknowledge that deciphering the human brain’s complexity requires a collective effort with considerable funding. Some may wonder why the sudden emphasis, and influx of dollars, in this area. The answer is that advances in various technologies have now made basic research into how the brain works feasible. These include new technologies to map brain function, advances in computing power and the increasing ability of scientists to work with massive data sets. The BRAIN project in particular is focused on developing new technologies that will push forward the frontiers of our understanding of how the brain works. Perhaps one of the most exciting advances comes from the optogenetics field. Optogenetics refers to technologies involving a combination of optical and genetic approaches through which scientists can directly control the activity of individual neurons in living, conscious and even unrestrained animals in real time. Not only can individual neurons be controlled, but researchers can also measure the effects of specific manipulations in real time. The technique involves inserting genes into cells that render them responsive to light. Advanced optical technologies then allow researchers to deliver pulses of light in a targeted fashion to stimulate or measure specific neural cells deep in the brain. A key feature of optogenetics is the precision with which scientists can control defined events in different cells. Since many brain events occur in millisecond timeframes, these new techniques also have to operate on those same timescales. These new technologies will be integrated with advances in computing and the increasing ability to work with massive data sets. 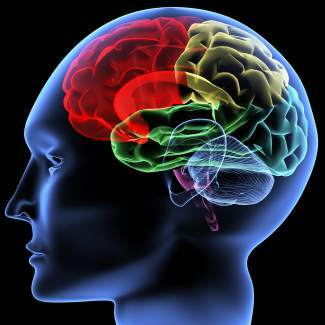 In this regard, a key feature of the Human Brain Project is to integrate accumulating data about the brain into a massive computer model that will simulate the actual working of the brain. Just as in complex models of climate, the goal will be to continually refine the model to understand neural pathways and activity associated with different brain functions. So what are we learning so far? A highly illustrative example was recently published by the leader in the field, Karl Deisseroth, and Nobel Laureate Susumu Tonegawa. The researchers used optogenetic techniques to activate neural cells known to be associated with fear in mice. Light stimulation of the cells caused the mice to freeze, suggesting the recall of a fear-related memory. The findings suggest we can study other pathways associated with laying down memory in the brain — and perhaps develop new treatments for depression or addiction. For example, Princeton University scientists have used these technologies to understand how the brain processes reward pathways, such as those stimulated by cocaine. It may be possible to target these pathways with pulses of light and turn them off, thereby disrupting the neural circuits linked to drug abuse. One of the defining features of humans is our ability to solve complex problems through intelligent thought. How fitting that the human brain is driving the curiosity and technology necessary to solve the riddle of its own functions. David L. “Woody” Woodland, Ph.D. is the Chief Scientific Officer of Silverthorne-based Keystone Symposia on Molecular and Cellular Biology, a nonprofit dedicated to accelerating life science discovery by convening internationally renowned research conferences in Summit County and worldwide. Woody can be reached at 970-262-1230 ext. 131 or woody@keystonesymposia.org.